Radio Times is a weekly Listings Magazine in terms of genre that has been published by the BBC from 1923 until 2011. It is now published by the Immediate Media Company after the merger of BBC Magazines (BBC Magazines used to be owned by the BBC’s commercial arm, BBC Worldwide) while the Immediate Media Company is established as a combined publishing house. 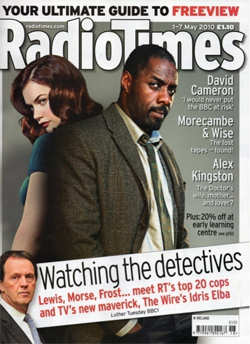 Radio Times is still a branded BBC publication however and its key focus is BBC television and radio programmes but since 1991 has carried listings, and other covers relating to non BBC programmes – commercial television and radio. Many critics find it surprising that up until 1991 (which is recent history) that Radio Times carried exclusively BBC listings.